France's Languedoc region is one which is regularly and rightly described as a wine lover's paradise. Crumbling Roman ruins sit atop verdant hills, gently undulating hills, dotted with vineyard after vineyard cover the land, and no matter where you go, you're never far from a fantastic bottle of vin rouge and some seriously decent food to go with it. The beautiful winery of Domaine de Boede is one with a history which stretches back two centuries. It stayed in the hands of the Arnaud family for generations, but the neighbouring landowners who leased the vineyards to the Arnauds were always huge fans of the produce, and regularly made attempts to buy the Domaine. It wasn't until 2006 that the current landowner and chief winemaker of Chateau de la Negly – a certain Jean Poux-Rosset – managed to convince the Arnauds to sell up, and he quickly set about making much needed improvements and renovations to Domaine de Boede, with the mind to get it ready for the 21st century wine industry. 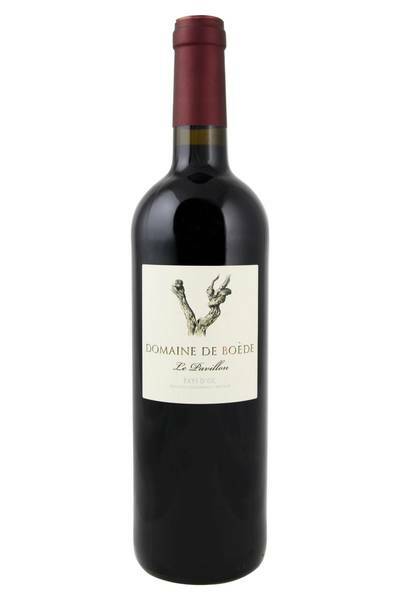 The Languedoc is a great source of robust reds with plenty of character. 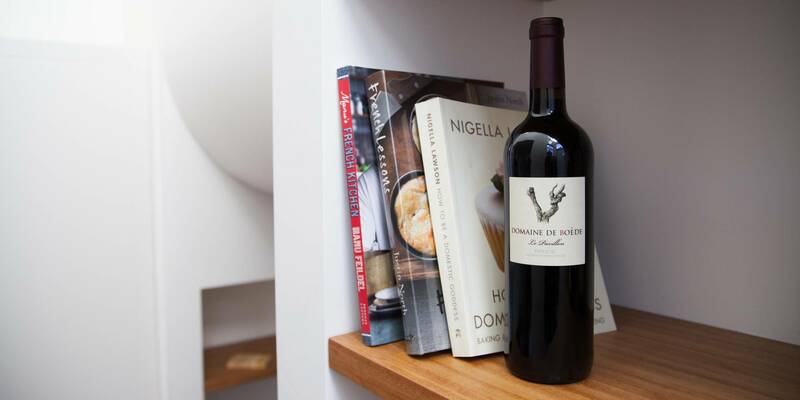 La Pavillon from Domaine de Boede manages to tame some of the rusticity that is often inherent in the region and produce a smooth, seductive wine that still manages to speak of where it originates from. There is a great complexity of ripe red fruit on the nose, with plenty of raspberry, cassis, cranberry and plenty of spicy cinnamon. The palate it round, generous and silky, with just enough tannin to give it balance. This Cinsault and Syrah blend is a beautiful example of what Languedoc does best: blending power with elegance, and bringing together the superb aromatic qualities of one grape with the structure and strength of the other. It's an exercise in balance and finesse, and it's a top wine for drinking alongside quite a broad range of foods. Grilled lamb, pork chops, grilled or smoked aubergine would be our go-to dishes for this wine, but it also will pair really nicely with plenty of exotic dishes which pack in some serious flavour without being too overwhelming. North African cuisine is a great match for this wine – think meaty, fruity tagines from Morocco, or flatbreads piled high with barbecued meats, couscous and slow cooked vegetables. Even a good lamb shawarma or pulled pork bun would hit the spot, if you're after a bit of comfort food to go with your wine!